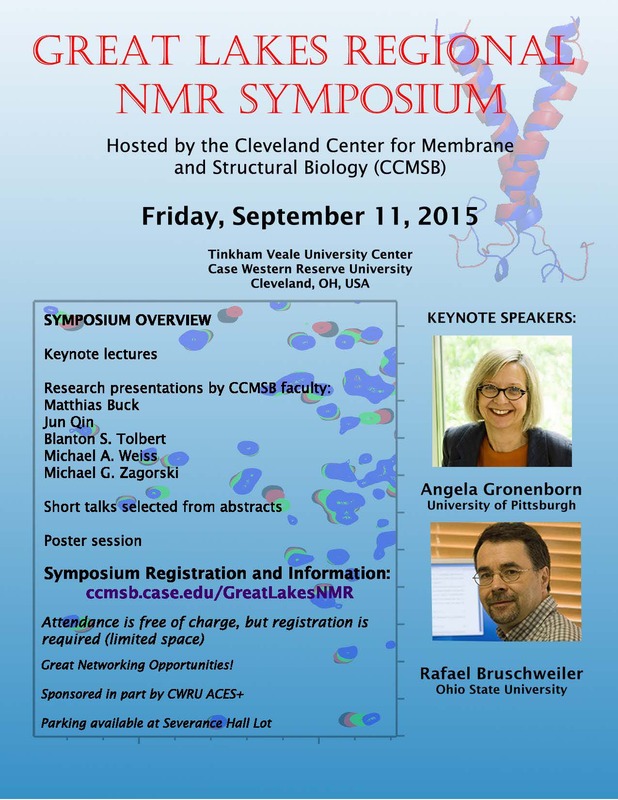 I write to alert you to a wonderful scientific symposium being organized by Phoebe Stewart and the NMR user group of the Cleveland Center for Membrane and Structural Biology. It will take place on Friday, Sept. 11 (please see the attached flyer). The keynote talks will be exceptional and promise to beautifully integrate structural biology with biological function and medical issues. One of the keynote speakers, NAS member Angela Gronenborn (University of Pittsburgh), will also be meeting with female students under the auspices of the ACES Program (thanks to the generous support of Lynn Singer). If you would like to attend the symposium (it is free and in the new facilities at the Tinkham-Veal Student Center), please register yourselves at ccmsb.case.edu/GreatLakesNMR. Please also invite all of your students and lab members to register and attend. As an aside, this week’s issue of the New England Journal of Medicine highlights the importance of protein structures in next-generation anti-cancer dug design, with an editorial celebrating a multidisciplinary lead article from Memorial Sloan Kettering that does from the structure of a protein target to a clinical trial in a specific form of cancer driven by that protein. This will be truly be an inspiring event and promises to stimulate ideas for new interdisciplinary collaborations. 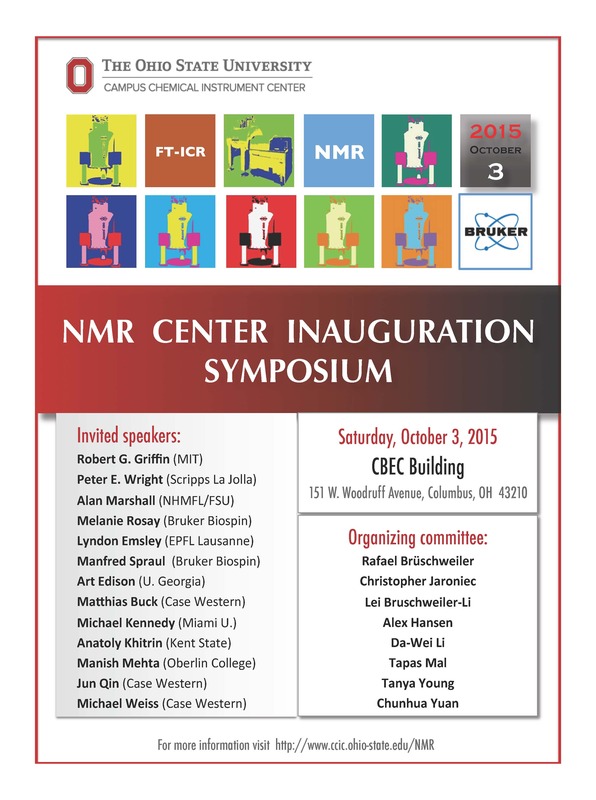 You are cordially invited to attend the OSU NMR Inauguration Symposium of CCIC NMR on Saturday, October 3rd, 2015. The symposium takes place to celebrate the opening of the new NMR center at OSU’s shared Campus Chemical Instrument Center (CCIC). Our new center comprises 8 high-field NMR instruments by Bruker Biospin with magnetic fields between 600 MHz and 850 MHz, which are unique in the US, allowing the investigation of a wide range of molecules and materials. During the symposium, you will have the opportunity to learn more about our instruments with guided tours of the center by our NMR staff. The all day symposium starts at 9:00 am and will take place in the CBEC building on north campus. There will be an outstanding group of speakers (see attachment) who will demonstrate the power of NMR for many different state-of-the-art applications from biomolecules to materials and metabolomics. They include Bob Griffin (MIT), Peter Wright (The Scripps Research Institute, La Jolla), Melanie Rosay (Bruker Biospin), Alan Marshall (NHMFL/FSU), Lyndon Emsley (EPFL Lausanne), Manfred Spraul (Bruker Karlsruhe), Art Edison (U. Georgia) and Ohio-based NMR scientists. Everybody who plans to attend needs to register using the link below. Registration is free; lunch and dinner will be provided. There will be also a poster session. 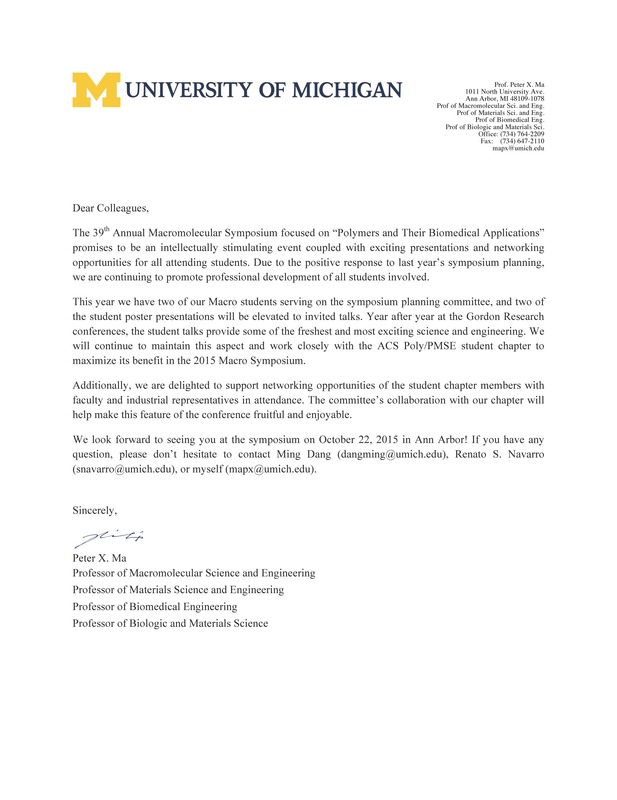 You are invited to present a poster to share your NMR-related research with the other symposium attendees. 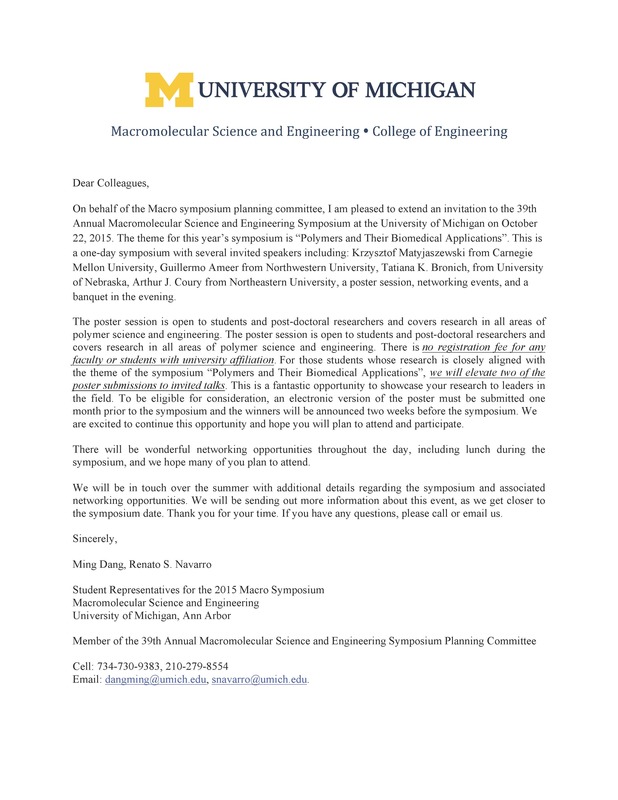 Please enter poster title, author information, and a short abstract (no figures) when you register using the link below. For registration and poster abstract submission use this link.